Beth Gibbons has a brilliant, extraordinary voice. This does not mean "she sounds nice when she sings"; "she has the 'voice of an angel'", or "she'd do a mean aria". It means: she sings, and you listen. She sings, and she communicates. In my view, she has one of the most distinctive, affecting, expressive voices in modern music. (What a horrible phrase - "modern music".) Listening to her sing after any number of 'cool', 'trendy' vocalists, there really is (for me) a sunlight-breaking-through-clouds sensation. A fascinatingly three-dimensional voice, heavy with real, complex, organic emotion. Not a trace of artifice or empty posturing. What do you do with a voice like that? If you're Geoff Barrow and Adrian Utley (the other two members of Portishead), you throw it into relief. I've always found Portishead compelling because of the brilliantly-managed contrast between vocals and arrangements/instrumentation/production. And on 'Third', the contrast is starker than ever: listening to these songs might put one in mind of an exotic bird, enclosed in a stainless steel cage. Even on the more analogue, retro-tinged numbers, there is a pervading iciness and detachment to the arrangements. When, on previous records, beats and samples may've been infused with the warmth of vinyl, on 'Third', they're stripped to their raw essentials. The uncompromisingly mechanistic rhythms of 'Machine Gun' exemplify this quality at its most extreme - but even the more 'rounded', woody instrumentation of songs such as Nylon Smile sounds filtered, cold -- desaturated. As if bathed in fluorescent laboratory lighting. Sounds may be treated with copious delay - but they reverberate in bleak, unfurnished spaces: cold, hard. There's always been something 'designery' about Portishead - a strong aesthetic sensibility. And the combination of Gibbons' vocals with these arrangements is like the sonic equivalent of complimentary colours: a vibrant, powerful shade against a strongly contrasting backdrop that serves only to maximise its impact. 'Third' is to Portishead what 'Kid A' was to Radiohead. The two records - to my ears - share a striking degree of similarity. But 'Third' is the better album: Gibbons' performances are the more mature and weighty than Thom Yorke's. 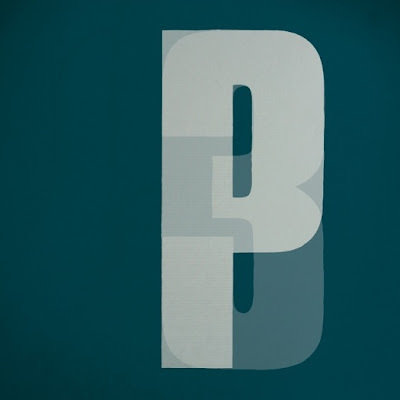 And I'd go further - to say that this is Portishead's best album. Like its predecessors, it's aesthetically uncompromising. But, this time, it's that bit more convincing; more substantial; bolder in its juxtapositions and contrasts, yet hanging together absolutely unquestionably as a unified whole. There are few concessions to the easy listening, coffee-table crowd, as we might've predicted. ... But this is, nevertheless, a hugely dramatic record, and certainly not the po-faced affair the above might suggest. 'Plastic' is a standout track, with its stuttering, stammering drum fills and tape warbles. When the bass kicks in, the power is huge - somewhat reminiscent of the climax to Radiohead's 'Exit Music [for a film]' (high praise indeed). And 'We Carry On' and 'Machine Gun' (masterfully separated by the breath of fresh (if still sanitised, hospital) air that is the Inkspots-tinted 'Deep Water') are shapely and mesmerising, despite their repeating, insistent, inhuman beats. Flaws? Only one, really - that lyrics just occasionally veer into the realm of the slightly banal and cliched. I'm not, personally, convinced by lines such as "wounded and afraid inside my head", which are a little too much like the blandly extreme soundbites of MySpace emo kids for my liking. That said, my gripe is tiny - as there are also some incredibly memorable lyrics - notably, the closing "I never had the chance to explain exactly what I meant" of Nylon Smile. This is an album that demands space and engagement. On headphones - or played loud through a good stereo - 'Third' is certainly no less immersive and atmospheric than its predecessors - even though it may lack their broad appeal. This is a brilliant album, and one which I recommend without hesitation to a listener drawn to a highly defined aesthetic - intrigued rather than deterred by a certain degree of austerity.